Hetty the Labrador is unique. 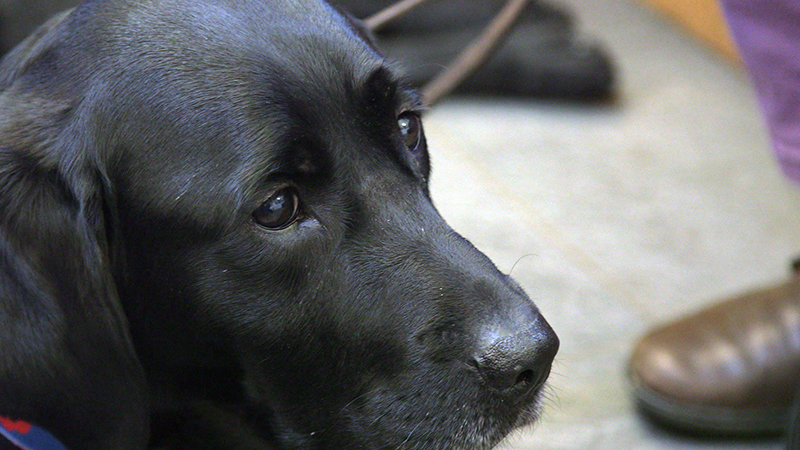 She is the first dog to have been trained both as a guide dog for the blind and a seizure alert dog. Not only does she help Toni, a mother-of-two who is blind, live an active life, but she also warns Toni if she is about to have an epileptic fit. Hetty isn’t just a much loved family member, but has a vital role to fulfil. Hetty had become lame on both her front legs, and was referred to Professor Noel Fitzpatrick to see what could be done for this very important dog. Invasive surgery would have meant Hetty would be out of action for as long as four months, a terrifying thought for Toni, who would be without her lifeline. The pressure was on for Noel to get Hetty back to full working health as soon as possible. Noel identified that both elbows were causing Hetty problems, a condition called Elbow Dysplasia, as well as some minor arthritis in her toes. The arthritis could be treated medically, but the problem with her elbows would get worse if left untreated. Noel recommended keyhole surgery, where a small camera (arthroscopy) would be used to look into the elbow joint to diagnose and to treat the damaged area, which would hopefully be enough to avoid a more invasive procedure. Noel hoped he could treat Hetty arthroscopically so as lessen her time for recovery, which was clearly important given her role as much more than just a family member for Toni. After looking with the camera and confirming the issue, Noel cut one of the tendons in both legs to reduce the pressure that was pulling the humerus against the ulna bones where they were rubbing together. Noel then removed the affected diseased area of ulnar bone to further decrease pain. With both elbows sorted, Hetty was able to go home just 24 hours later to continue her recovery. The first few weeks of rest and gentle exercise were vital to ensure the best recovery for Hetty. It was a difficult time for Toni, who had to put her usual life on hold while she waited for her friend to get back on the road. Toni even stayed and slept downstairs with Hetty, to be near her, so Hetty could continue to be there for her in case she had a seizure. 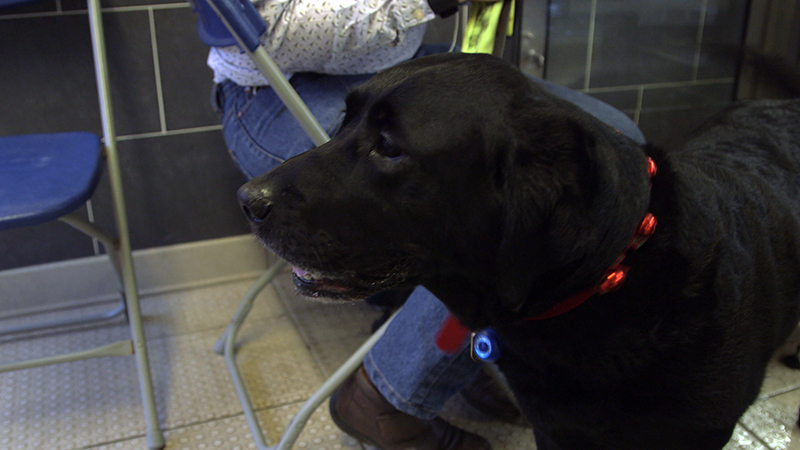 Hetty had a course of Laser Therapy and Hydrotherapy to promote healing and strength. 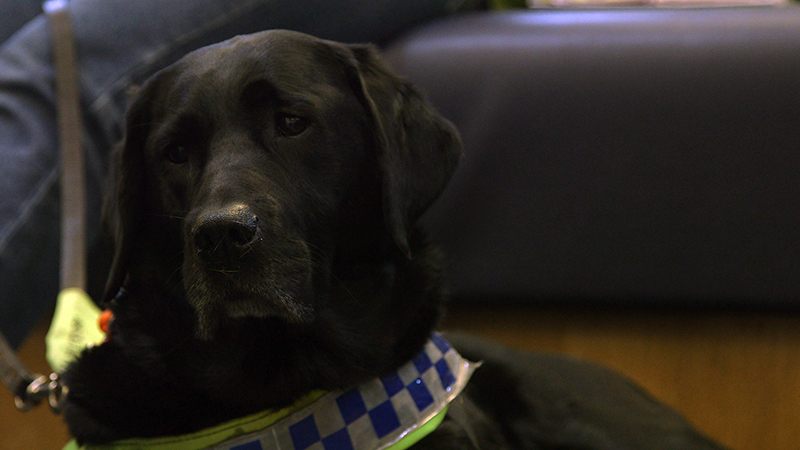 12 weeks later and Hetty made a sound recovery, and was able to get back to work full time!